The recent tragic limousine crash that took the lives of 20 people in Schoharie, NY, is heartbreaking. While a small New York State town is mourning the loss of life from the deadliest transportation disaster in almost a decade, policymakers across the U.S. may be re-examining the regulations surrounding stretch limousines to ensure more uniform and heightened safety laws and protocols are in place. This article will explore the implications of this high-profile crash, the response of legislators, investigators and policymakers… and what may happen next. Past and current stretch limo industry trends, safety protocols, as well as the regulatory framework on the federal, state, and local level will also be explored and analyzed. We do not yet know what caused or contributed to the Schoharie crash, though the circumstances surrounding the incident are highly unusual. The question everyone is asking is how does a limousine crash, in a quiet part of town – with no skid marks on the road – lead to the death of 17 passengers, the driver and two pedestrians? The 17 passengers – including four sisters, two brothers, and their friends – were celebrating a birthday, taking a mid-day trip for wine and beer tasting. The limousine had been a second choice for the group, since the bus they intended to book broke down on the day of the celebration. On the surface, the details of the limousine crash show many alarming factors: The driver did not hold the required commercial driver’s license to operate the vehicle. The limousine itself had failed its vehicle inspection and had a collection of violations that deemed it unsafe to drive. The inspection report of September 28, 2018 states that the brakes were out of service. Interestingly, two days before the crash, the owner of the limousine tried to sell it for $9,000 in an ad posted on Craigslist. Contradicting the inspection report, the ad states that the vehicle had accrued 180,000 miles, could carry 18 passengers, was “DOT Ready” and fully serviced. The National Transportation Safety Board (NTSB) is currently investigating the crash, while federal and state legislators and government transportation officials have already proposed legislation and called for investigations and regulatory changes to improve the safety of stretch limousines. Local prosecutors have granted federal safety investigators only limited access to the limo involved in the crash because of the ongoing criminal investigation against the limo company’s operator. The vehicle is in the possession of the New York State Police since Nauman Hussain, the operator of the company that owns the vehicle, was charged with criminally-negligent homicide. It may be weeks before the NTSB is allowed to fully examine the limo. It has been widely reported that the vehicle should not have been on the road after it failed inspection, and state inspectors placed a sticker on the vehicle declaring it “unserviceable” the month before. As for the driver, he lacked the required commercial driver’s license to operate the limo. As of October 19, 2018, state police were still awaiting the results of toxicology tests for the driver. New York State Senator Simcha Felder introduced legislation (S9177) that would require stretch limos be taken off the road after 10 years, impose a minimum liability insurance coverage of $2 million, create new procedures if a vehicle fails a safety inspection and require that inspection results be displayed on a “license plate” sized sticker on the vehicle’s exterior and on the NYS Department of Transportation website. The law would apply to limos that have been stretched to seat 10 or more people, including the driver. Under the bill, the state could impound a vehicle that fails inspection if the owner fails to correct a violation within 10 days, and it would be a class E felony to drive a vehicle that failed inspection. In addition, stretch limo drivers would be required to complete a safety training course and pass the course exam. U.S. Senate Minority Leader Charles E. Schumer (D-NY) and U.S. Senators Kirsten Gillibrand (D-NY) and Richard Blumenthal (D-CT) called on the National Highway Traffic Safety Administration (NHTSA) to devise new federal safety standards for stretch limos. Specifically, the senators asked NHTSA to evaluate the construction of stretch limousines, address the safety gaps, identify regulatory changes to improve the safety of these vehicles and develop specific requirements to inspect stretched vehicles to ensure that only structurally-sound vehicles are allowed on the road. The senators asked the agency to review whether limos should be classified as commercial vehicles, subject to requirements under the Federal Motor Carrier Safety Act (FMCSA), which would then require limo drivers to carry a commercial driver’s license and undergo more extensive training. The vehicles themselves would also be subject to more rigorous inspection, repair and maintenance. 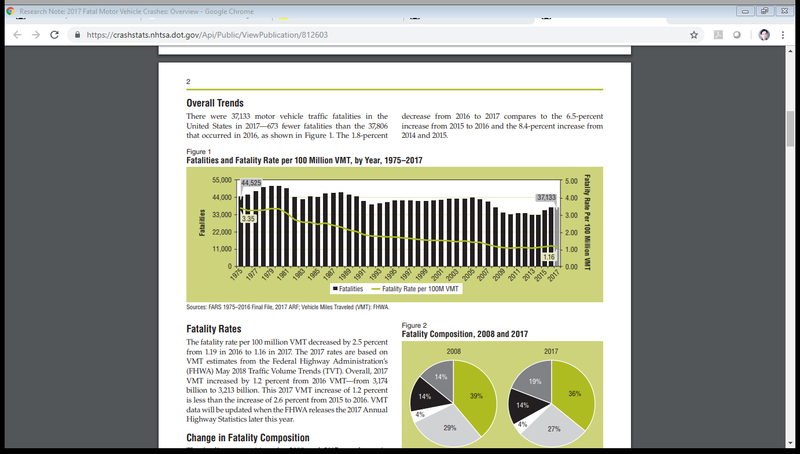 While the magnitude of the Schoharie, NY crash has caused intense media attention, available statistics reveal that, as demonstrated in the NHTSA chart below, the number of motor vehicle fatalities in 2017 declined slightly by 1.78%, as compared to 2016 (37,133 vs. 37,806). Limousine accidents accounted for only one death crash out of 34,439 fatal accidents in 2016, the last year for which data is available. 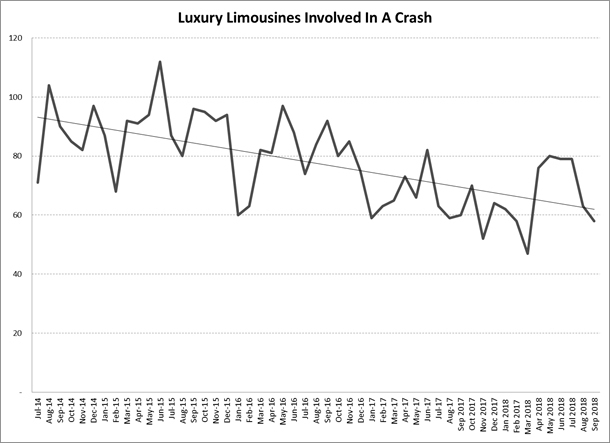 NHTSA data also shows there were just 12 crashes involving large limos from 2012 to 2016, with a total of 12 fatalities. As set forth in the chart below, based on vehicle crashes in NYC tracked by the TLC, there seems to be a decline in limousine crashes over the years (July 2014-Sep 2018), and zero cases involving critical injury/fatality. However, due to the size of these vehicles, like buses and trains, when high impact crashes occur, even if not frequent, the risk of serious bodily injury or death is elevated. The birthday celebration-turned-tragedy on October 6, 2018 repeats many of the same issues with the stretch limousine industry that have not been addressed in previous accidents. Three years prior, on July 18, 2015, a similar limousine accident in Suffolk County, Long Island prompted the Suffolk County Supreme Court Special Grand Jury to investigate the facts and circumstances of the limousine crash in which the front of a pick-up truck drove into the limousine’s side. In this investigation, the Grand Jury issued a 159-page report that provided a list of legislative, executive and administrative recommendations intended to prevent future accidents of its kind. Another similar limousine crash took place in Cranbury, N.J., in which a truck driver collided with a 2012 Mercedes-Benz limo van, killing one passenger, severely injuring four other passengers and leaving five others with minor injuries. According to an NTSB report of the crash, all passengers in the limo van had not been wearing their seatbelts when the crash occurred, despite limo van occupants being required by New Jersey and Delaware law to wear seatbelts. The report also found that the limo van operator, Atlantic Transportation Services, did not inform the passengers that they were required to wear seatbelts, nor were there any placards in the vehicle prompting passengers to wear seatbelts. In San Mateo, Calif., a limousine had caught fire, killing five of the nine passengers on May 4, 2013. The converted 1999 Lincoln Town Car limousine had been carrying two people in excess of its capacity, with only seven passenger seats allowed, while carrying nine passengers. The rear doors of the vehicle were compromised due to the fire leaving the small pass-through of the partition into the driver’s compartment as the only available exit from the vehicle. The limousine crash prompted the State of California to amend § 27375 of the Vehicle Code, requiring modified limousines to be equipped with at least two rear side doors and one or two rear windows, so that rear seat passengers or all passengers of the vehicle may open in case of a fire or other emergency for immediate exit. The amendment also required, among other things, for owners or operators of a limousine to instruct all passengers of safety features at the beginning of any trip, as well as to disclose to the contracting party and passengers whether the limousine meets safety requirements. In the 1980s and 1990s, unregulated coachbuilders were modifying vehicles after-market to create stretch limousines that included hot tubs, beds or private rooms, and even an articulated limo that bent when turning corners. Bigger was better in the eyes of passengers and limo companies alike. One of the key safety issues involved is the structural integrity of the vehicle when, after the manufacturing process, coachbuilders cut the chassis and extend the car’s length. One of my first official acts when I became Chair of the New York City Taxi & Limousine (TLC) was to reign in the stretch limousine business. Working with the New York City Council, the TLC was able to close a loophole that left limousines seating more than 11 passengers out of the City’s reach. Closing this loophole meant heightened inspections and scrutiny in an industry that was growing increasingly unsafe. The result is one of the most effective safety regulations in the United States and beyond. 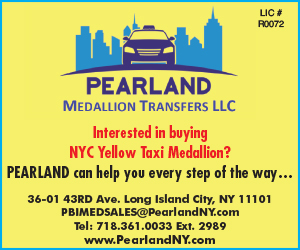 In New York City, all TLC-licensed vehicles except for taxicabs must undergo a safety and emissions inspection when the vehicle owner applies for a new or renewal for-hire vehicle license. The initial and renewal inspections must be completed at the TLC’s Safety and Emissions Division facility. Beyond these TLC inspections, the vehicles must be inspected twice more in the first year (a total of three times per year for each licensed vehicle) by the NYS Department of Transportation, and meet inspection standards set by the State DMV, except for stretched vehicles, which only require two inspections a year. TLC procedures require stretch limo owners to bring a letter from the coachbuilder proving that the vehicle was stretched by a manufacturer-certified stretch limousine builder. Unlike most areas of the country, anyone who wants to operate a stretch limousine in New York City must prove that the vehicle was modified by a manufacturer-certified stretch limousine builder. Following national media coverage of fatal limo crashes, coupled with other reports of limousine fires and tire blowouts, NHTSA pushed Ford, General Motors and the limousine industry to develop testing to ensure limousines complied with federal safety standards. As a result, Ford formed a vehicle certification program called “Quality Vehicle Modifier” (QVM) and General Motors created its own “Fleet Cadillac Master Coachbuilders” (CMC) program. Through these programs, Ford and GM distributed information explaining how to convert certain vehicles into limousines that met Federal Motor Vehicle Safety Standards. The manufacturers also certified coachbuilders to perform after-market modifications on certain vehicles in accordance with automotive engineering standards. The programs limit conversions to specific vehicles that are specifically engineered, designed and built for heavy-duty application and coachbuilder conversion. QVM and CMC coachbuilders are required to adhere to specific engineering and quality control guidelines, which are designed with the vehicle capabilities in mind. QVM rules state that only Lincoln MKT Town Cars are approved for conversion into a stretch limousine and that these vehicles may be stretched a maximum of 120 inches. The CMC only allows modifications of the XTS Professional Vehicle Chassis. These programs provide manufacturer approval, oversight, an extended limited warranty on major components, and – most importantly – safety. They are not, however, mandatory for licensing outside of New York City. New York State law does not define “stretch limousines.” Given their seating capacity, these vehicles tend to be classified as buses. Vehicles that are designed to carry more than 10 people, including the driver, are classified as buses and must obtain operating authority from the NYS Department of Transportation (NYSDOT). Recently, the New York State Department of Motor Vehicles (DMV) changed its vehicle safety inspection regulations for stretched or modified vehicles. Now, the DMV will only inspect such vehicles if the NYS Department of Transportation has determined the vehicle is not a “bus,” subject to NYSDOT’s jurisdiction. Vehicles that require operating authority will undergo a NYSDOT safety inspection as part of the operating authority application process. The purpose of this regulatory change is to ensure that stretched or modified vehicles that require NYSDOT operating authority undergo a NYSDOT safety inspection. Similar to federal FMCSA regulations, NYSDOT regulations further require driver pre-trip inspection and post trip review reports. The pre-trip inspection must check the service brakes, parking brake, steering mechanism, tires, wheels and rims, lights, horn, windshield wipers, lighting devices and reflectors, mirrors, and emergency equipment, and exits. The post-trip inspection report shall note any additional mechanical or safety defects not listed on the pre-trip inspection report that the driver becomes aware of prior to the end of the tour of duty. During the scheduled NYSDOT Safety Inspection, the vehicle operator must present its vehicle maintenance and driver file/records, which include the pre-trip and post trip review reports and maintenance exams. Commercial vehicles that are used to transport passengers could come within the jurisdiction of federal, state and/or local regulators depending on the vehicle size, seating capacity and whether the limousine transports passengers across state lines. There is disjointed governance and inconsistent regulation among the states and localities, especially with regard to stretched vehicles, with differing standards. Since the plethora of government agencies base their differing definitions and jurisdiction on seating capacity, one of the threshold questions is whether a stretch limousine is to be treated as a bus or a for-hire vehicle. The grey areas and loopholes in State law make it possible to evade New York City’s jurisdiction by designing the vehicles to carry 10 or more people, including the driver, and registering the vehicles as buses with the NYSDOT, which inspects these vehicles. What Happens Next? Regulatory Reform? In the aftermath of the Schoharie, NY crash, legislators and government transportation officials may be looking closely at their laws and transportation policies regulating the stretch limousine and party bus industries. There are many directions new regulations could take. For instance, it is possible legislators could pass a mandatory vehicle retirement age for stretched limousines that are not part of a manufacturer’s program. 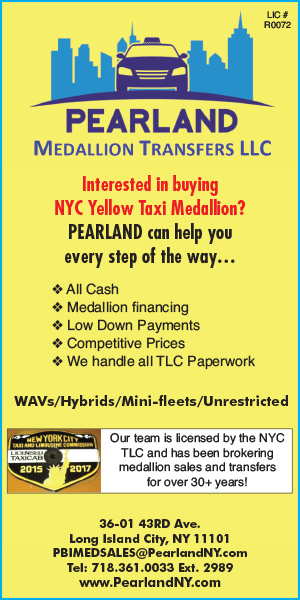 NYC’s TLC is the only agency in the U.S. that has implemented regulations for taxicabs to be retired and replaced by new vehicles seven years after it has been placed into service, ensuring that vehicles meet the latest National Highway Traffic Safety Standards. 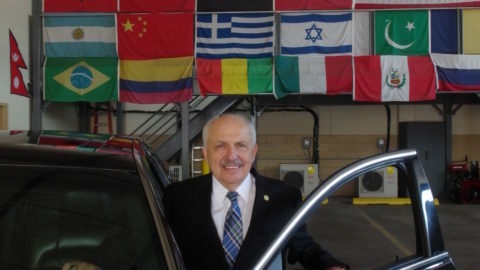 Another direction regulators could take would be to have older stretch limousines and vehicles with higher mileage subject to more frequent and rigorous safety inspections. Any stretch limousine that was not modified by a manufacturer-certified stretch limousine builder could be subjected to heightened inspections and required to be equipped with crash avoidance technology and telematics devices that record driver behavior and vehicle diagnostics. In February 2014, New York City Mayor Bill de Blasio released the Vision Zero Action Plan, with the goal to end traffic-related deaths in the city. 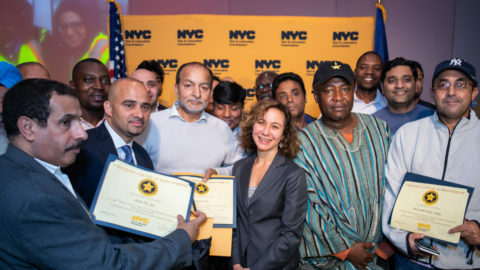 As the regulator of more than 120,000 for-hire vehicles, the NYC Taxi & Limousine Commission is uniquely positioned to help make this a reality and has taken a range of safety-related initiatives to help achieve the Vision Zero goal. In 2015, the TLC began the Vehicle Safety Technology (VST) Pilot program to study the use of innovative built-in and after-market technologies designed to improve driving habits and reduce crashes, such as electronic data recorders (or “black boxes”), cameras with event-based recording and live video feeds, driver alerting/collision avoidance systems and analytics platforms. Over 2,000 vehicles were officially involved over the course of the three-year pilot. The March 2018 final report on the VST found no strong evidence of a substantial impact on driver behavior but noted that “trends in general adoption and insurance company acceptance of these systems are promising.” The TLC concluded that, based on the pilot, the agency would not pursue rulemaking to mandate use of VST systems in TLC-regulated vehicles at that time. Also, New York City implemented reforms in 1998 for all TLC-licensed drivers, requiring mandatory drug testing, probationary licensing, mandatory defensive driving courses, and the lowest point thresholds for removing drivers from the road for traffic convictions. Regulators may explore adoption of similar standards for drivers in their jurisdictions. In terms of driver vetting on the federal level, the Federal Motor Carrier Safety Administration (FMCSA), which regulates interstate buses and trucks, also regulates limousines with a seating capacity of more than 11 passengers. FMCSA has rigorous rules to ensure that drivers receive medical certifications and now uses technology to ensure that drivers cannot work longer than a certain number of hours consecutively. The Federal Motor Carrier Safety Regulations (FMCSRs) require companies that operate vehicles for-hire with a designed seating capacity of more than eight (including the driver), among other commercial motor vehicles (CMVs), to register with the FMCSA and undergo a safety inspection if they operate interstate. Many states, including New York, New Jersey, and Connecticut, require all commercial motor vehicle carriers to register with FMCSA and obtain a USDOT number, even if the carrier does not cross state lines. The FMCSA, which is a sub-division of the U.S. Department of Transportation (U.S. DOT), tracks and regularly audits CMV operations to ensure they comply with the FMCSRs. These regulations include driver qualification, vehicle inspection and maintenance requirements, and driver hours of service (HOS). Under the FMCSRs, every commercial motor vehicle must be inspected every 12 months by a qualified inspector who has training or certification to inspect and maintain commercial motor vehicles – which could be the motor carriers themselves. Motor carriers are banned from using a commercial motor vehicle unless each component identified in Appendix G of 396 subchapter B has passed an inspection at least once during the preceding 12 months. The FMCSA Electronic Logging Device (ELD) Rule, which went into effect in December 2017, requires motor carriers to install and use Electronic Logging Devices (ELDs) for more accurate HOS recording. The devices, which range from $200 to $800 each, replace paper logs and make it easier to track, manage and share RODS data. Connected to the vehicle’s engine, the ELD records all activities when the vehicle is in use, not just drive time. The device also allows drivers to manually log when they are off-duty or in the sleeper berth. Regulatory reform could be a call to action for legislators, transportation officials and vehicle manufacturers everywhere to immediately identify and implement uniform and best safety practices for limousine vehicles and drivers. However, any such regulation should be reasonable and effective, leveraging technology and providing for safety and accountability at every level. While the cause of this most recent crash may not lead to any faults or shortcoming in government regulation, government typically reacts when there are high-profile crashes and takes a fresh look at issues and laws. 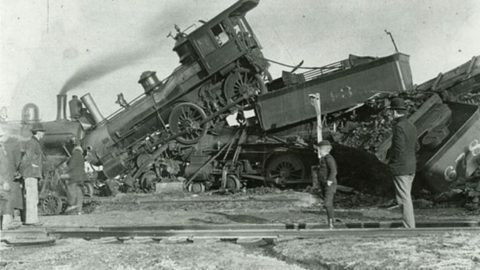 In memory of the victims of this horrible crash, the families should receive some measure of comfort that the manufacturers and regulators will do everything they can to prevent future tragedies as shortcomings or gaps are identified as a result of the attention this crash has received. Let’s hope and pray that another stretch limousine crash of this magnitude never happens again!